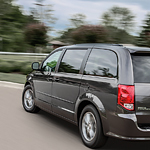 If you drive a Dodge Grand Caravan around Sioux City, you'll have room for passengers and cargo, plus you'll have peace of mind knowing that everyone in the minivan can stay safe. These vehicles that we have at Woodhouse Chrysler Dodge Jeep RAM FIAT are popular amongst those who need three comfortable rows of seating. 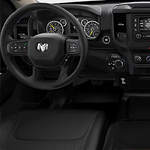 The Ram 2500: What Interior Features Does it Come With? There are many reasons Sioux City consumers choose heavy-duty pickup trucks. If you are looking to purchase an exceptional heavy-duty pickup truck, the Ram 2500 at Woodhouse Chrysler Dodge Jeep RAM FIAT is one of the best trucks in its class. It comes loaded with a number of features such as interior features that enhance convenience and entertainment. Mid-sized crossover SUVs have always presented themselves as a delightful vehicle to drive around Sioux City in with family and friends. Comfort is important in vehicles such as these but so is the need for good performance. 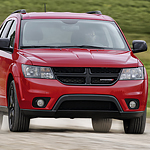 The 2018 Dodge Journey hopes to be the vehicle choice of many by including a smart feature set. Are you looking for a full-size luxury sedan? If so, what features do you want? At Woodhouse Chrysler Dodge Jeep RAM FIAT, we try to keep our consumers well-informed about our models. The Chrysler 300 is a sought-after full-size luxury sedan that has much to offer, which includes performance features that provide you with plenty of power and efficiency. 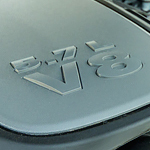 When it comes time to upgrade the vehicle that you use to help your family get around, you should find something with excellent performance features. The Pacifica is a popular family minivan from Chrysler that gives you access to all of the features that you both want and need. 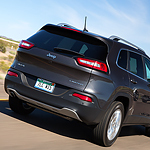 The 2019 Jeep Cherokee is a popular full-size luxury and utility SUV. The 2019 Cherokee embodies many technological advancements but still manages to maintain many signature design features, including an iconic grille and unmistakable lighting schemes. While the 2019 Jeep Cherokee boasts larger windows than before, it still includes the signature 7-slot front grill system in its design. This distinctive grill system complements the Cherokee-centric trapezoidal wheel design that so many have come to know and appreciate. When there is an auto recall, a manufacturer will determine if a car model or different models under the same automaker need to be recalled for safety-related defects. This could mean that something has broken or will break in the future, or it could mean that the vehicle doesn't comply with federal safety standards. 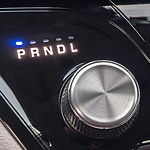 In any case, the vehicle manufacturer will alert drivers when there has been a car recall. However, you should keep in mind that a recall doesn't mean that the whole car will be refunded or replaced. If you drive in harsh winter conditions in Sioux City, having winter tires on your car or truck can add an important level of safety. 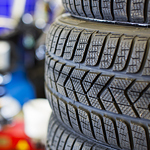 At Woodhouse Chrysler Dodge Jeep RAM FIAT, we can show you the differences between all-season and winter tires and help you choose the appropriate set for your vehicle. The Ram 1500 is ranked one of the safest trucks on the road with a high safety rating. 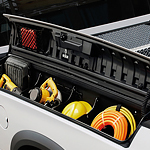 It's top-rated in the full size pickup truck class. With a superb ride quality, completely redesigned cabin and exterior, the 2019 Ram 1500 is turning a lot of heads on the highway. 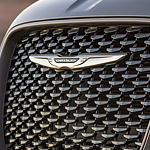 Chrysler's 300 is a full-size luxury sedan with a powerful engine and a sleekly styled exterior design. This popular model comes in two trim choices that offer drivers the chance to customize their car for both appearance and performance. Take to the road in a car that's suited to your particular comfort needs, performance expectations and style.